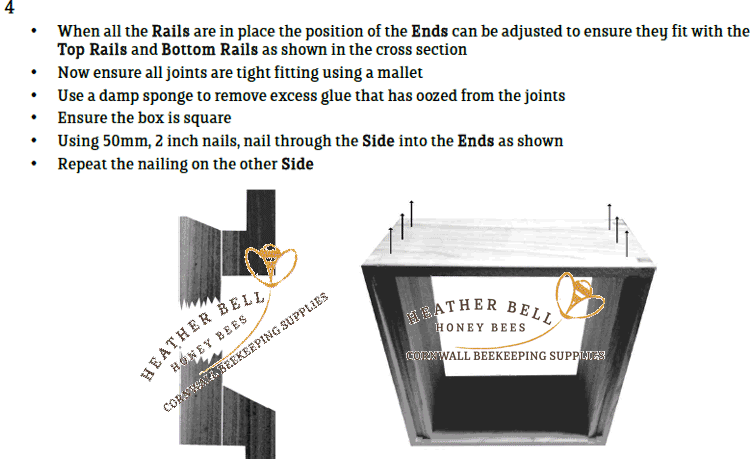 © This is how we assemble our National bee hive boxes. 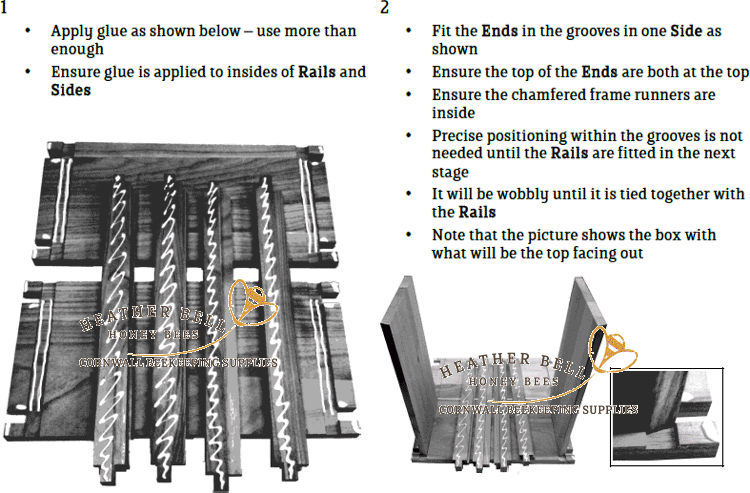 They are not like flat packed furniture so they are for the experienced who will have their own preferred methods, fixings and woodworking tools. If you are not experienced at woodworking or bee hive making we recommend purchasing assembled bee hives.